Daniel James Brown fell in love with the written word when he was five and his mother first read Danny and the Dinosaur to him. Since then he has earned a BA in English from the University of California at Berkeley and an MA in English from UCLA. He has taught writing at San Jose State University and Stanford University and now lives in the country east of Redmond, Washington, where he writes nonfiction books about compelling historical events. 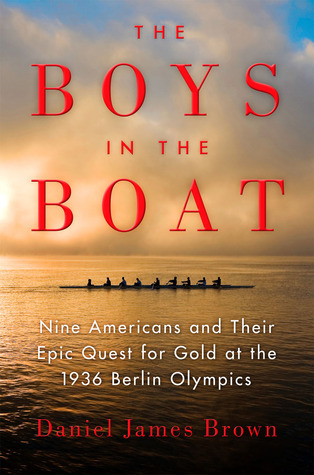 Brown's newest book is the New York Times bestseller--The Boys in the Boat: Nine Americans and Their Quest for Gold at the 1936 Berlin Olympics. The book chronicles the extraordinary saga of nine working class boys who stormed the rowing world, transformed the sport, and galvanized the attention of millions of Americans in the midst of the Great Depression. The Weinstein Company has purchased the rights to adapt the book for a feature film. HIs previous book--The Indifferent Stars Above: The Harrowing Saga of a Donner Party Bride--was Chosen as an INDIE NEXT NOTABLE SELECTION by the American Bookseller's Association, it recounts the extraordinary journey of a young woman whose fate became entangled with that of the infamous Donner Party in 1846. His earlier book--Under a Flaming Sky: The Great Hinckley Firestorm of 1894--takes the reader back to the events of September 1, 1894, when his great-grandfather and more than 300 other people died in one of America's greatest forest-fire disasters. That book was selected as a Barnes and Noble Discover Great New Writers pick, was named one of the Best Books of 2006 by Booklist magazine, and was a finalist for the Washington State Book Award.